On Friday, Australia’s Prime Minister Tony Abbott will return two looted idols seized from Australian museums during a meeting with his Indian counterpart Narendra Modi in New Delhi. 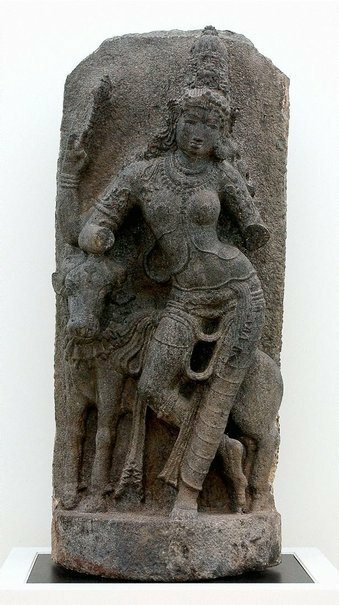 As we first revealed here a year ago, both objects were stolen from temples in India and later sold to the museums by Manhattan dealer Subhash Kapoor, who, his gallery manager has admitted, created falsified ownership documents to hide their illicit origins. Meanwhile, Kapoor’s international network of looters and smugglers is still being mapped by authorities in the United States, who have already seized over $100 million in art from the dealer’s Manhattan gallery and storage facilities. Federal investigators in the United States are methodically working through mountains of evidence seized from Kapoor, probing his ties to a number of American and foreign museums that did business with the dealer. Indian authorities, meanwhile, are considering a broader campaign to reclaim stolen antiquities from foreign institutions. Over the past two years, we’ve traced hundreds of suspect Kapoor objects to museums around the world. To date, the Kapoor case has received the most attention in Australia, whose National Gallery for months stonewalled press and government inquiries and dismissed mounting evidence before agreeing to take the stolen idol off display. The Art Gallery of New South Wales took a slightly more proactive approach, releasing the ownership history that Kapoor supplied for its sculpture of Ardhanarishvara (left.) Soon after, Indian art blogger Vijay Kumar identified the temple from which the sculpture was stolen. The idols have been in the Australian government’s possession for months, but their fate remained unclear until today. The According to The Australian, Abbott decided during a July dinner with George Brandis, Australia’s Attorney General and Arts Minister, to present the idols to Modi during his two-day state visit to India. “Brandis told him the issue was a potential problem in the relationship between the nation­s and Mr Abbott said returning the statues would be an important statement of goodwill towards the Indian Prime Minister, elected to office in May,” the newspaper reported. Underscoring the diplomatic importance of the returns, Abbott reportedly wanted to have his presidential plane transport the objects directly but they were too heavy and were dispatched on Wednesday by jumbo jet instead. 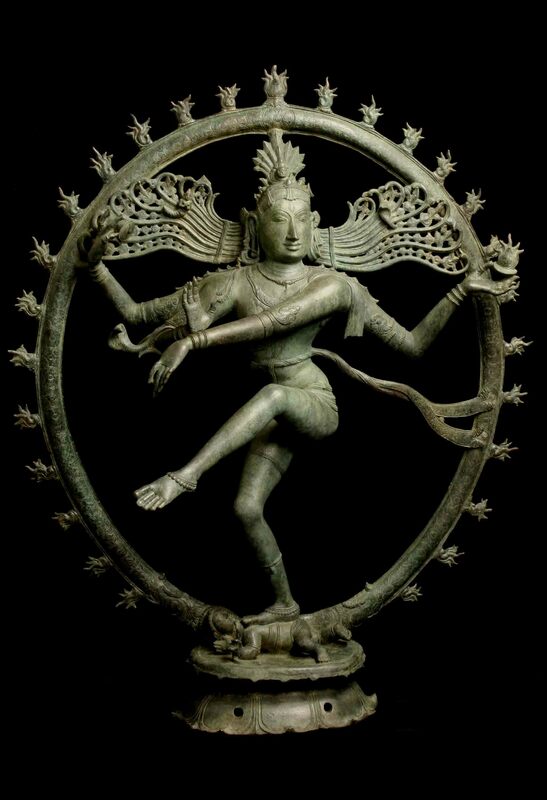 Meanwhile, the National Gallery officials who played a key role in acquiring the Shiva – despite the warnings of their own attorney – are quietly exiting the scene. Curator Robyn Maxwell, who handled the negotiations with Kapoor, retired quietly last month, the Australian reported. Director Ronald Radford will retire this month, his legacy tarnished by his mishandling of the case. The Art Gallery NSW’s Michael Brand, who has taken a more open approach to looting investigations in Australia and previously at the Getty, has been mentioned as a possible successor. This entry was posted in News and tagged Dancing Shiva, George Bran, Michael Brand, Michaela, National Gallery of Australia, Navendra Modi, Robyn Maxwell, Ron Radford, Subhash Kapoor, Tony Abbott, Vijay Kumar. Bookmark the permalink. Britain has looted so much of treasures from India that it is insane. a gallery of ppl trying to distance themselves after the fact. touch is the most powerful force and the desire to touch (own) is akin to the fire that’s a good servant and a bad master. what were you thinking. I would not jump to congratulations too soon. The Mad Monk’s restitution of the Dancing Shiva and Ardhanarishvara were just part of his glad-handing of Modi to sign off on a uranium export deal to India (not a signatory to the NPT), which in turn will rely upon Abbott successfully brokering another slippery deal with the Yolgni people of Arnhem Land: constitutional recognition of Aboriginal Australians in exchange for more uranium mining leases in their pristine country replete with (sad irony) ancient wall paintings inter alia. Abbott’s lack of sincerity would not matter an iota in light of the judicious return of these precious religious objects to India – but for his breathtaking hypocrisy and sociopathic political ambitions. Six invaluable bracket figures (Madanikes) were stolen from Brahmeswara temple located in Kikkeri, Mandya dt., Karnataka, India, on October 4. We must ensure they are not sold to some museums or dealers. It was really a great thing!!!! i should thank the forum and i want to know what are the evidences being shown for this case??? ?